The Robert D. Clark Honors College is accepting course proposals from faculty across campus to teach with the college in the 2018–19 academic year. The honors college directly enrolls incoming first-year students, and the college’s curriculum provides a four-year track that replaces standard UO general education requirements for undergraduates. In fall 2016, the college was ranked one of the top 10 public honors colleges in the country by Public University Honors. Honors college classes are discussion-based, with small groups of 15–19 highly motivated students with strong academic skills. Students come from every undergraduate major across campus, and classes encourage interdisciplinarity while cultivating critical and creative thinking, writing, reading and discussion skills. The backbone of the honors college curriculum is a grouping of six classes at the 200 level and a grouping of five classes at the 400 level, with math and natural sciences, social sciences, and arts and letters represented within each grouping. Each year the honors college brings on 40–50 affiliated faculty from across all departments at the UO. The current group spans 23 different academic areas, from law to religious studies, physics and architecture. The college encourages instructional experimentation and innovation. Teaching an honors college class is a way to translate current faculty research into the classroom, bring an interdisciplinary perspective to a given topic, and provide excellent exposure to faculty members and their home departments. Applications for the 2018–19 academic year are currently being accepted for both 200- and 400-level honors college courses. Proposals are welcome from faculty members across all colleges and fields and are due Nov. 10. For more information and instructions about how to apply, visit the Clark Honors College website. 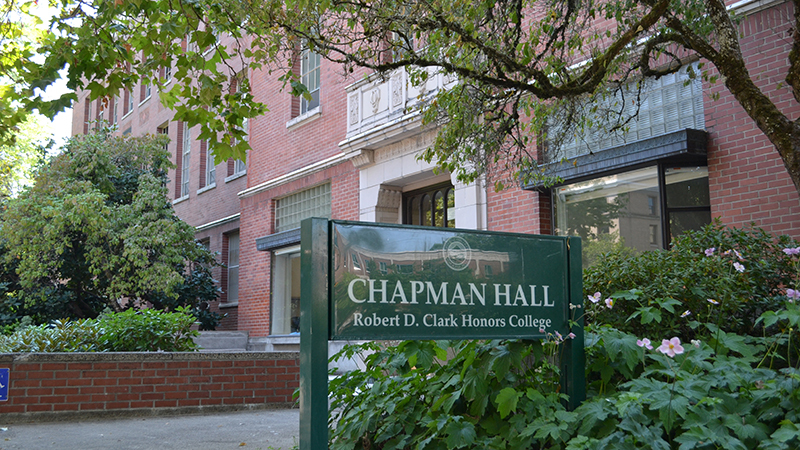 Questions can also be directed to Clark Honors College Assistant Dean Rebecca Lindner, rlindner@uoregon.edu or 541-346-2484.